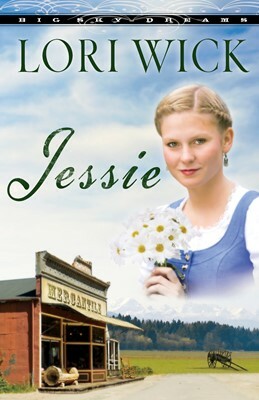 Jessie is book three in bestselling author Lori Wick's popular new Big Sky Dreams series (more than 215,000 copies sold). Readers will be transported to the vast landscape of Montana Territory in the late 1800s where they meet Jessie Wheeler, whose husband, Seth, abandoned her before their second child was born. As a single mom and the sole proprietor of Token Creek's general store, Jessie lives day to day with her hands full and her heart broken. When Seth suddenly returns to town claiming he's a man changed by faith, Jessie is reluctant to trust him or God with her family's future. But Seth sets out to prove his commitment and his love. This is a timeless story of the transforming power of God's love and forgiveness.